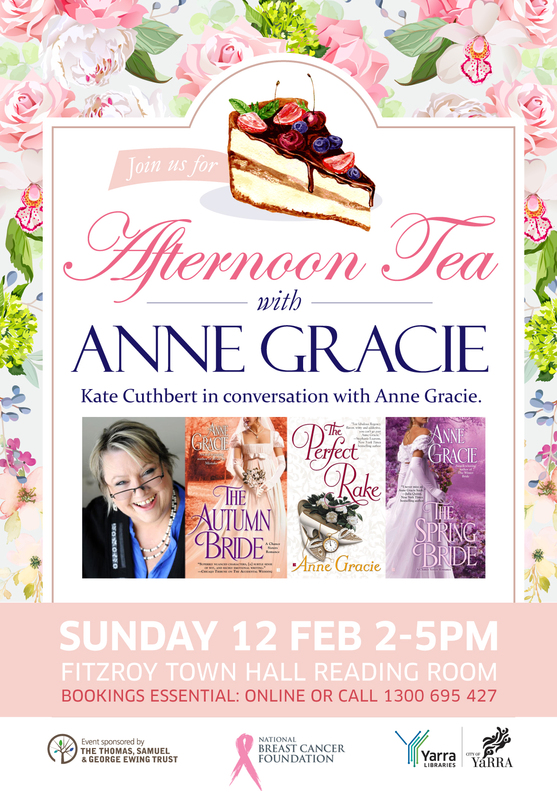 On 12 Feb, in Fitzroy, Melbourne, Yarra Valley libraries is putting on a gorgeous afternoon tea where Harlequin Escape Editor, Kate Cuthbert and I will be taking books and romance and reading, along with lovely nibbles and a cuppa of your choice. Please come — I’d love to see you there. Details on this gorgeous poster.